Wine is undoubtedly one of the noblest products our planet is generating and that is what this brand intends to celebrate. 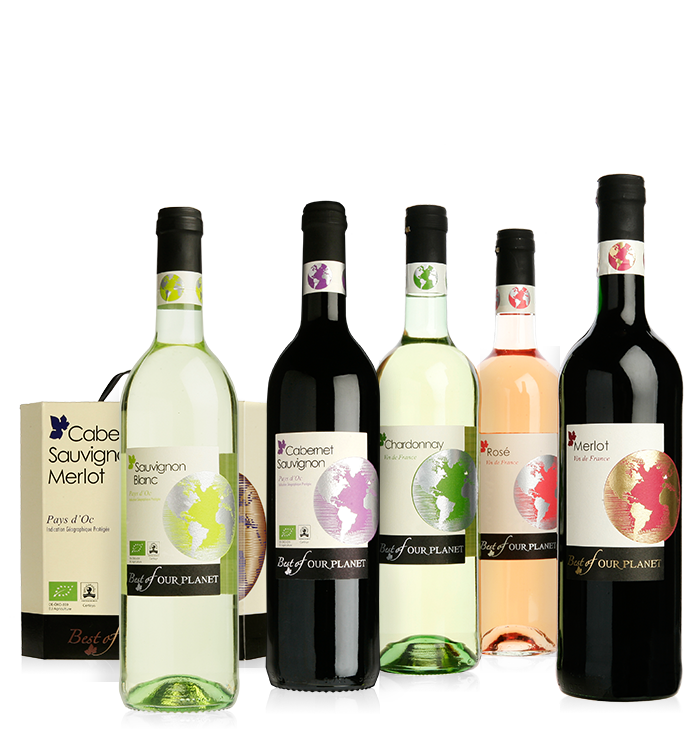 Best of our Planet strives to present organic wines that match or even outperform the best ‘conventional’ wines in their price category. Wine is undoubtedly one of the noblest products our planet is generating and that is what this brand intends to celebrate. Best of our Planet strives to present organic wines that match or even outperform the best ‘conventional’ wines in their price category. An easy drinking wine that will enchant every palate with its ripe red fruit aromas, complemented with a touch of chocolate. It's round, supple taste and delicate finish will please everyone. This merlot goes well with red meats, roasts, buffets, stews and cheese. But it is also, and why not, a great drinking wine. The name Organic Wine Pays d'Oc IGP is exclusively given to wines produced in the Languedoc-Roussillon region and approved by the association of Pays d'Oc producers. 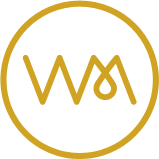 These wines have to meet stringent quality requirements, as the organic label is strictly controlled by the organisms certified by the European Union. Origin Pays d'Oc IGP is attributed to a wine that is exclusively produced in the Languedoc-Roussillon and has been approved by the Pays d'Oc Wine Producers Union. The label is awarded to wines that meet strict production quality criteria. The nose exhibits ripe apples and peaches. Rich and creamy in the mouth, this wine has a long finish. This chardonnay is a perfect wine for any occasion. It is beautifully typical of its Mediterranean quality. This is a wine oozing with sunshine, made to enchant the taste buds. This rosé wine has a beautiful, lively colour and delicate aromas of red fruits and sweets. It tastes fresh and fruity, juicy and round, with an aromatic, quite long finish. This wine is obviously ideally suited to accompany summertime buffets and barbecues, but it's also perfectly enjoyable as an everyday wine. This is a very agreeable and approachable red wine with a dark, fiery red colour. It displays a nose of black fruit complemented with Mediterranean herbs. This Cabernet Sauvignon has an attractive structure and long finish, yet is supple enough to be enjoyed immediately. This wine can easily be allowed to continue maturing for a year or two. It will perfectly accompany grilled foods, poultry and cheese. The wine has a fragrant nose of green apples, gooseberry and fresh grass. We encounter the same elegant freshness in the mouth. A light citrusy and mineral touch completes the taste. A very enjoyable terrace wine, but it also goes perfectly with cold fish dishes, salads and goat's cheeses. Environmentally friendly - lower carbon footprint than plastic or glass containers. 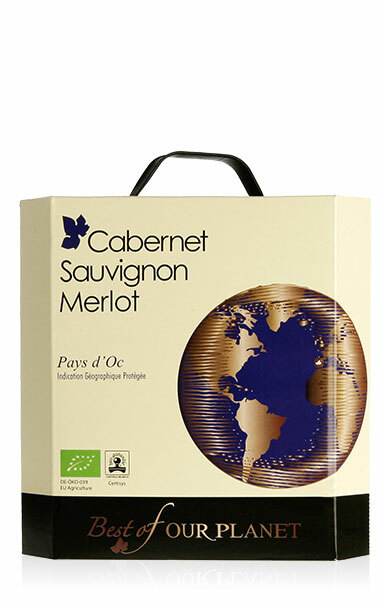 This organic wine is a blend of Cabernet Sauvignon and Merlot, the best-known red grape varieties in France. It is characterised by its red fruit aromas, cherry and blackcurrant, complemented with a slight herby touch, some liquorice and a hint of chocolate. This wine has a soft, fruity, round taste and a sufficiently long finish. Ideal for barbecues, summer buffets, roast meat and cheese. When slightly cooled, this wine is also a pleasant no-food wine.